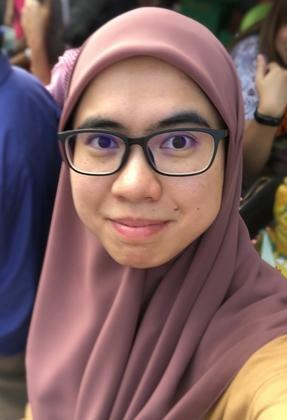 Dr Norazanita is currently a lecturer at Faculty of Integrated Technologies (FIT) teaching both Systems and Chemical and Process Engineering modules. She graduated with PhD at Loughborough University, United Kingdom in 2015. She studied both her Degree and Masters at the same University from 2006-2010. Took a year break to gain experience in working life at Energy Department at Prime Minister's Office as Project Officer. She decided to pursue her study at PhD level under Ministry of Education's Scholarship in 2011. Dr Norazanita's PhD research was focused on developing a portable membrane-based water purification system for natural disasters (especially floods) in developing countries. She emphasized on the latest technology at purifying contaminated water i.e. using membrane separation technology. As more than 90% disasters happen naturally, and 95% of the fatalities take place in the developing countries specifically Asia is the most vulnerable regions affected by disasters. In the wake of disasters, the standard treatment for clean water production may not be accessible or fully functional. Over the last decade membrane technology has been considered to be one of the most effective techniques to treat contaminated water in emergency situations with high productivity due to several reasons. These techniques offer simple operation conditions in comparison to conventional techniques such as slow sand filtration, filtration/disinfection, and flocculation/chlorination. Moreover these techniques are cost effective, safe and feasible to operate. The idea of operating such device without electrical power supply and chemicals would be advantageous in the events of disasters, while waiting for aid to arrive. Her current research interests include performance improvement of circular cross flow membrane filtration for purification of drinking water through process modelling of the hydrodynamic conditions. Also to further explore the design of membrane based point of use water treatment system (PoUWTS) which could be used at home and for leisure activities. Also, her research expands to water pollution and management such as non-point pollution and its impacts on water quality in Brunei Darussalam. It has been reported that Brunei Darussalam has not yet been able to control its non-point source of pollution especially from residential area along Brunei River. Non-point pollution and its impacts on water quality of Brunei River. Abstract: Problems with water quality normally link with increased pollutants as a result of human activities. River has constant interaction with its physical environment as well as the climate and human factors. There are two categories of water pollution sources: point and non-point sources. Point source pollution is due to direct discharge from waste water treatment and industrial plants, whereas non-point sources that come from other sources and locations (e.g. residential area). Brunei has 4 major rivers with Brunei Muara district being the most populated district. Hence Brunei river in Brunei Muara district could well be affected with pollutants. Hence it is the focus of this research project to focus on non-point pollution along the residential area of Brunei river and its impact on water quality. Hydrodynamic studies of circular cross flow membrane filtration. Abstract: Membrane fouling is a major impediment to membrane efficiency and it results in the reduction of membrane performance. Despite the vast efforts to reduce the effect of membrane fouling by improving membrane properties, optimizing operating conditions and pre-treatment of feed water, fouling is unavoidable. Improved hydrodynamic conditions such as manipulating shear rates on membrane surfaces, improved design of the membrane systems, and induced flow instabilities are other useful methods in overcoming membrane fouling and concentration polarization. These methods would be further studied using both experimental and computational methods in a circular cross flow membrane filtration. 1. Shamsuddin, N, C Chengcheng, V.M Starov, D.B Das. “A comparative study between stirred dead end and circular crossflow in microfiltration of china clay suspension.” Water Science and Technology: Water Supply, DOI: 10.2166/ws.2015.158, 2016. 2. Shamsuddin, N, D.B Das and V.M Starov. “Filtration of natural organic matter using ultrafiltration membranes for drinking water purposes: circular cross flow compared with stirred dead end flow.” Chemical Engineering Journal, Vol. 276, 331-339, DOI:10.1016/j.cej.2015.04.075, 2015. 3. Shamsuddin, N, D.B Das, and V.M Starov. “Membrane-based point of use water treatment (PoUWT) system in emergency situations. A review.” Separation and Purification Reviews, DOI:10.1080/15422119.2014.973967, 2014. 4. Shamsuddin, N, and U Santisukkasaem. “Water Quality Issues.” In Sustainable Water Engineering: Theory and Practice, by R Chandrappa and D.B Das, 83-153. Wiley International, DOI: 10.1002/9781118541036.ch3, Print ISBN: 9781118541043, Online ISBN: 9781118541036, 2014. 5. Shamsuddin, N, T. Nugent, D.B Das, V.M Starov. “Process modelling of circular crossflow membrane filtration for purification of drinking water: Effects of hydrodynamic conditions on the filtration performance.” Chemical Engineering Science (In Progress). In 2011, she was seconded to Brunei Methanol Company (BMC) as a Chemical Engineer for almost a year to learn about the downstream processing i.e. production of methanol from natural gas.